fixed displacement radial piston motor can replace SAI GM series motors, range varies from 59cc/rev up to 4298 cc/rev in displacement. We also have a department,mainly export Original Rexroth valves,pumps and motors.They are 100% made in Rexroth Germany,Rexroth China,Rexroth Japan. 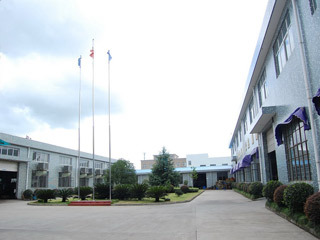 We are group companies,with three factories,located in NINGBO,JIANGSU and JINAN.Different factories produce diffirent products.With a strict quality management system, advanced technical procedures, professional engineers and excellent after-sale services, we keep exporting the products to Europe, America, Australia, the middle east, Asia and Africa, and win much praise and favor from the customers. With competitive price, good quality, best service and prompt delivery, we sincerely welcome the opportunity to establish firmly cooperative relationships with customers in the near future. Rexroth axial piston pump for the A10VSO, A4VSO, A4VSG, A2FO, A2F, A7V, and hydraulic motor for the model A6V, A2FM, A2FE. Eaton Vickers axial piston pump for the PVB, PVH, and PVQ. Sauer axial piston pump for the PV, and MF hydraulic motor. Eaton Vickers vane pump, for the V, VQ series, of the single and double vane pump, as well as vane motors. Parker Denison vane pump, for the T6C, T6D, T6E and T7E, its single vane pump and double vane pump of T6CC, T6DC, T6EC, T6ED, series. Rexroth Directional control valves,High response control valves,Pressure reducing valves,Pressure relief valves.4WE series,3WEseries,DBW series.